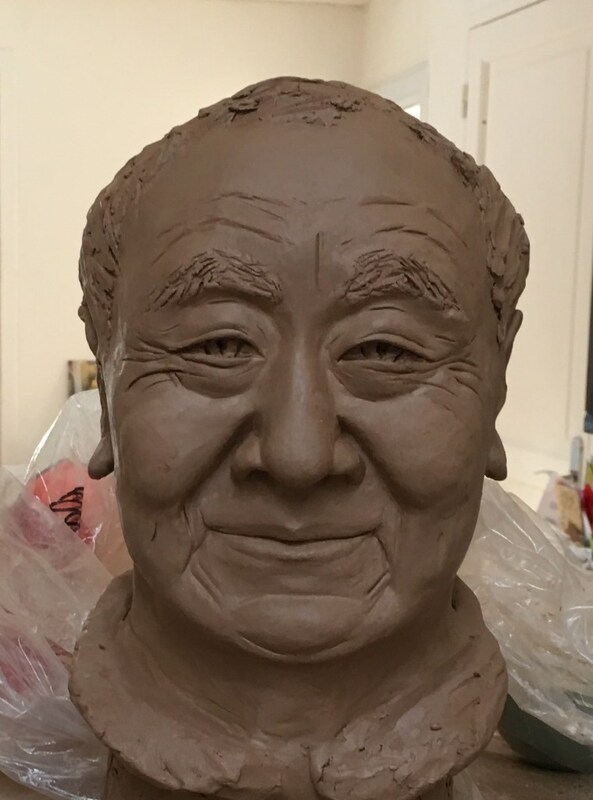 Since a long time we have had the wish to have a statue of Gendün Rinpoche in our meditation hall and at the beginning of this year all the necessary conditions came together to commence with such a project. 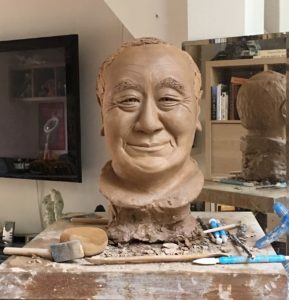 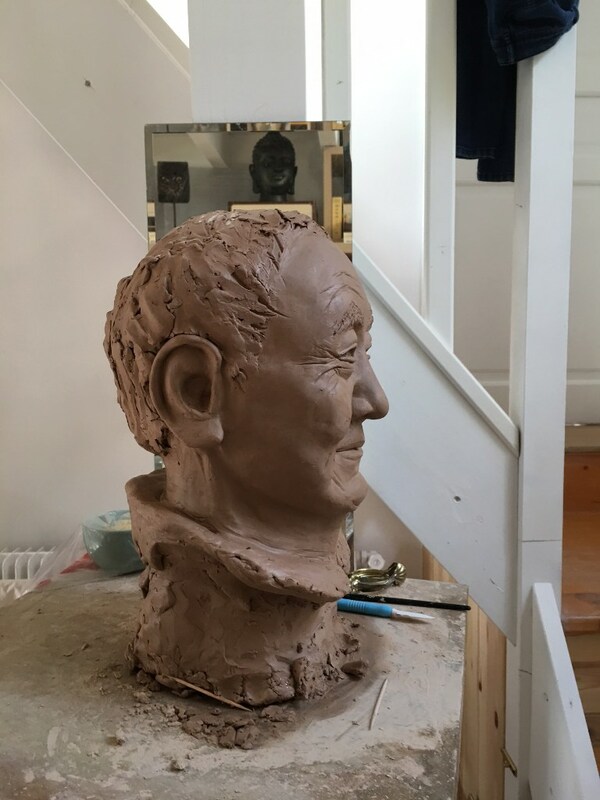 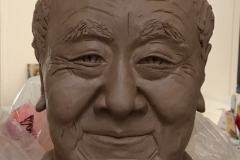 We were inspired by the skills of the French artist Bénedicte when she presented her works on a statue of the late Kunzig Shamar Rinpoche which she has just realized. 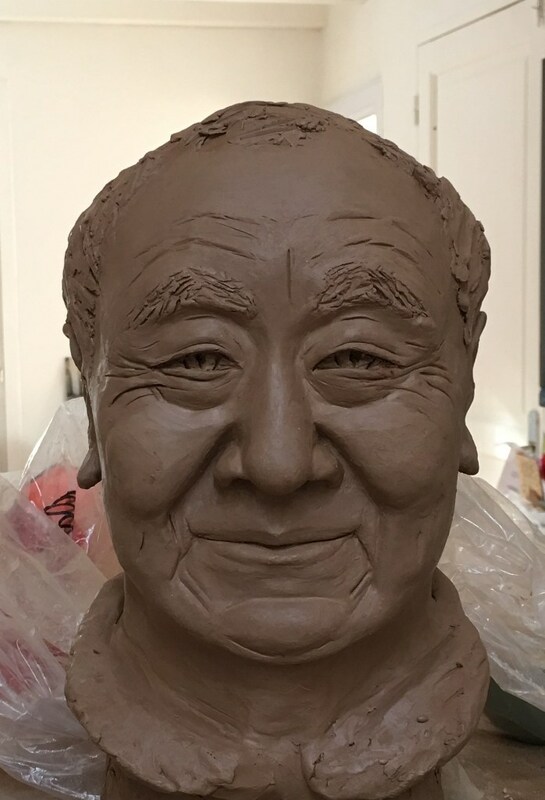 Being a disciple of Shamar Rinpoche as well as Jigme Rinpoche we had the confidence that she would be the right person to realize this project. 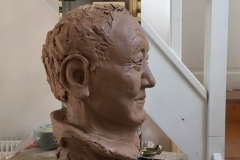 She has developed a clay model which serves as a model for the final statue. 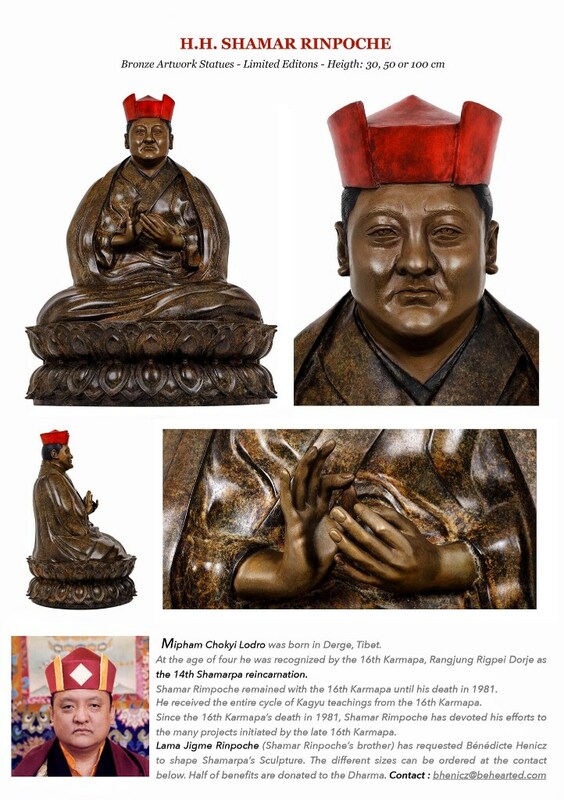 During the last months it has been refined repeatedly by the thoughtful eyes of Gendün Rinchen, the Tulku of Gendün Rinpoche, Jigme Rinpoche and the whole community of Dhagpo Dedröl Ling. 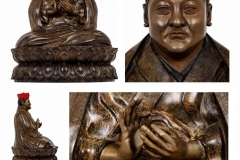 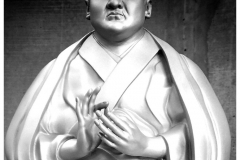 Such a statue can become the support for inspiration and blessings in the future for many people therefore it is worthwhile to take great care of all the different steps of its creation. 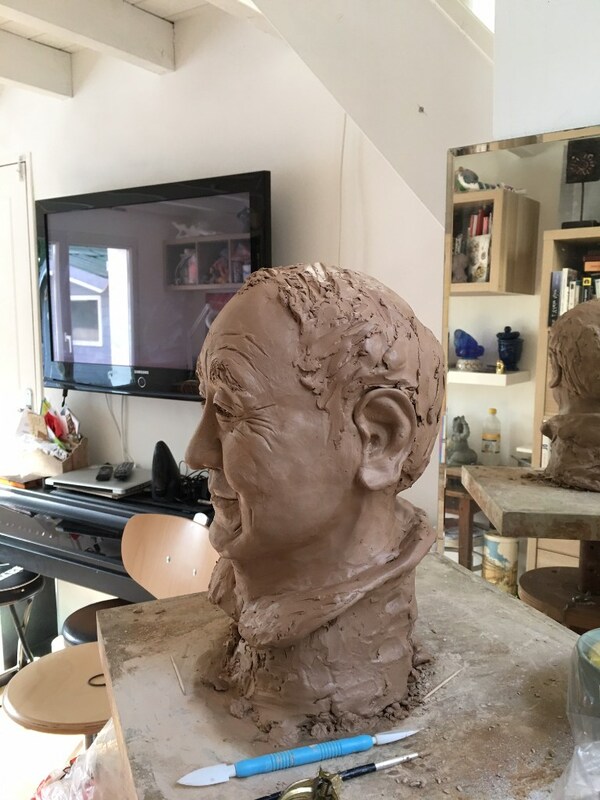 In the first step the model of the head of the statue has been realized and now the rest of the body is in process. 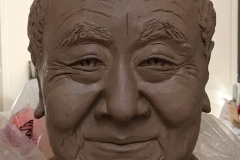 Anyone who wishes to help us realizing this project is warmly welcome, since we do not yet have the financial budget for it. 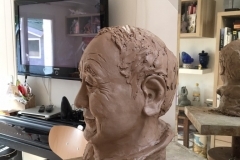 As it will be the first statue of this kind we will also have to cover the costs for the whole production process. 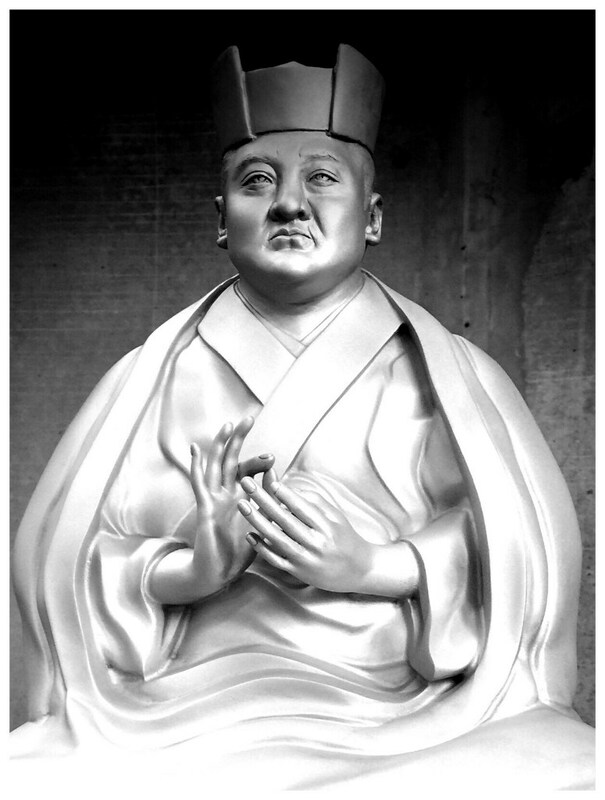 If later other centers wish to acquire such a statue it will be less expensive for them.